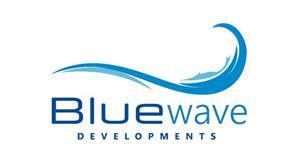 Bluewave Developments Ltd - Bathrooms, Bedrooms, Carpenter, Kitchens based in Newton-le-Willows, Merseyside. Bluewave Developments Ltd are a property development company specialising in kitchen, bedroom and bathroom refurbishments as well as joinery work. We pride ourselves on our honesty, cleanliness and quality of work. All jobs are completed to the highest of standards by fully trained tradesmen who have many years of experience in the construction industry. As the Director of the company, I have over 16 years of experience working within the construction industry and strive to ensure that all jobs are completed to the highest of standards so that every customer is left completely satisfied with the work undertaken. Our current in-house trade team includes; joiners, plasterers, electricians, plumbers and tilers. All of our tradesmen are fully qualified in their field and have many years of experience working on high-end property developments. We can offer a complete package on our jobs, including design, supply and installation. We work with some of the best suppliers in the country, to ensure that you get the best prices for your specification and budget. Please do not hesitate to contact us for a free no obligation quote, no matter the size of job required. We are confident that you will be extremely satisfied with the service provided.